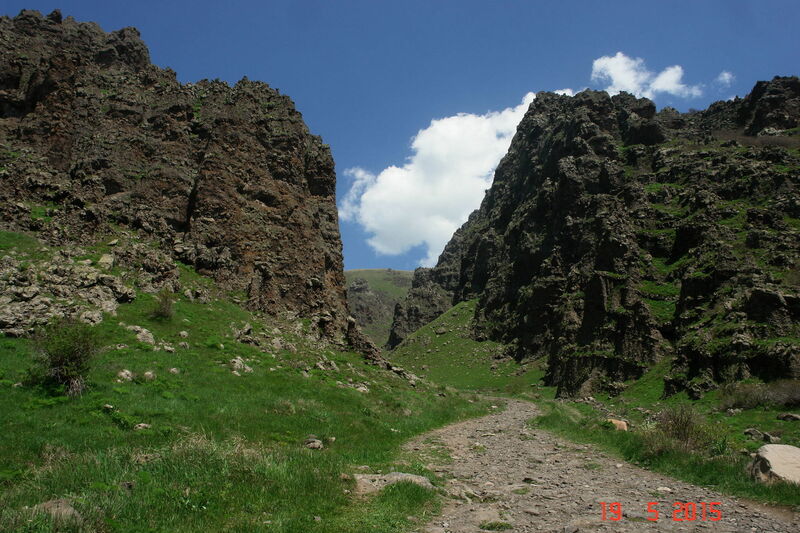 Mount Ara is a 10.3 kilometer lightly trafficked loop trail located near Ashtarak, Aragatsotn, Armenia that features beautiful wild flowers and is rated as difficult. 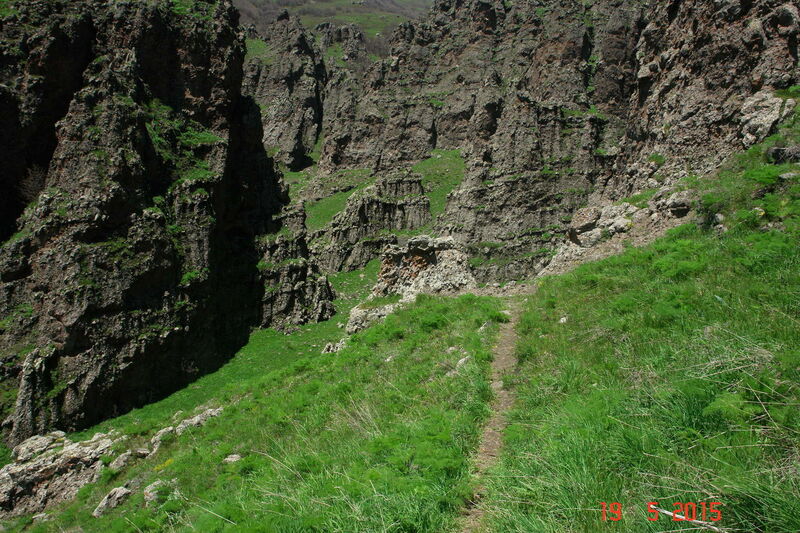 The trail is primarily used for hiking and nature trips. 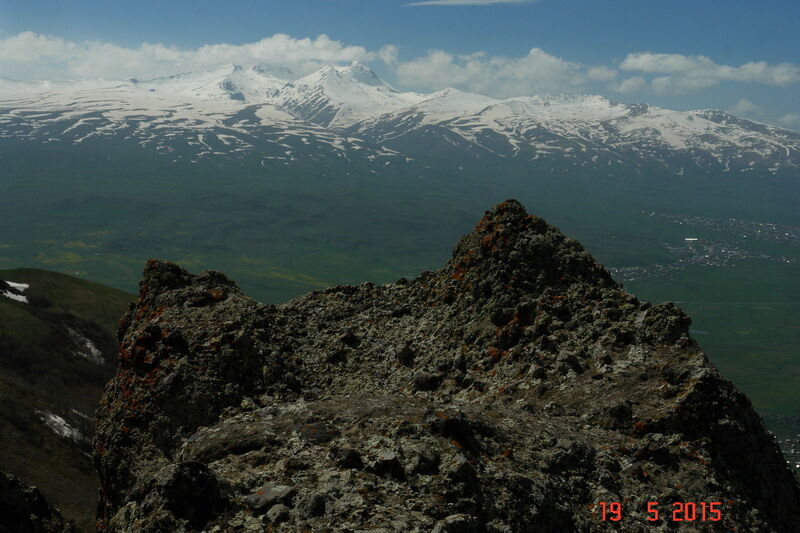 Overview Mount Ara is located around 40km from the capital, Yerevan, towards the middle of the Aragatsotn and Kotayk provinces’ shared border, and can be accessed from both sides (from Saghmosavan and Yernjatap in Aragatsotn, or Aragyugh and Saralanj in Kotayk). 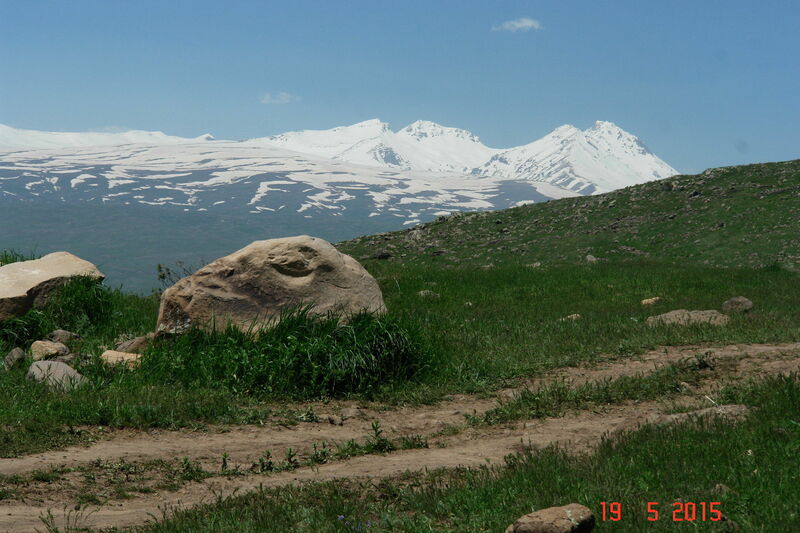 The elevation of the mountain is 2,606m. 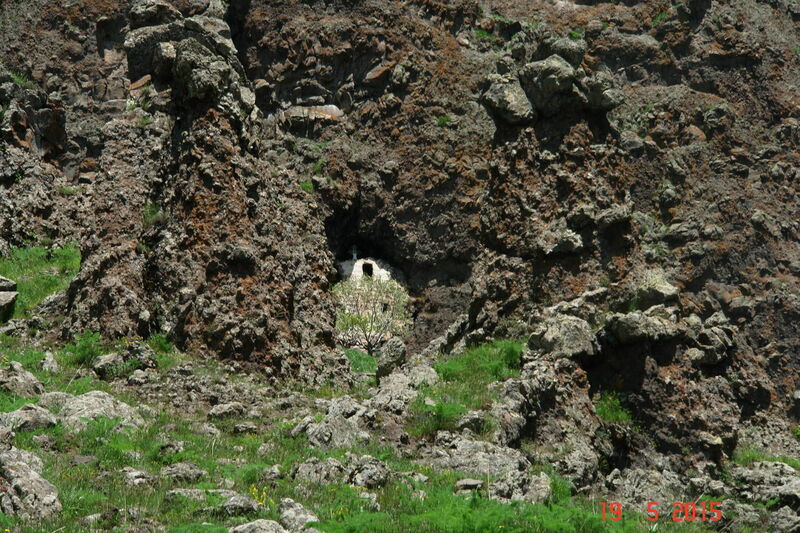 Its name is said to originate from the legend of the mythical Armenian king, Ara the Beautiful. 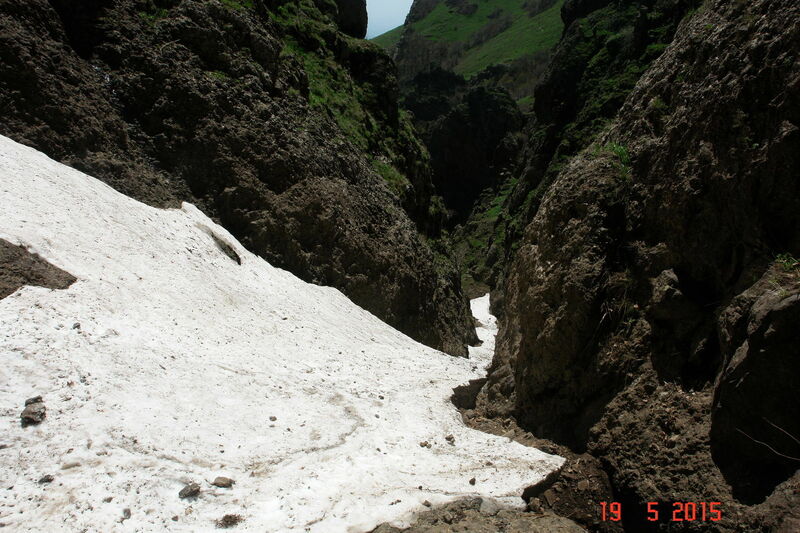 The weather is generally pleasant in the spring and summer, with long, warm, windless days making it an ideal hiking and rock climbing destination, as well as a favourite base from which local paragliders take to the air; whilst in the winter, a considerable snowfall makes it an ideal destination for ski-touring and winter mountaineering. A variety of sub-alpine and alpine flora, lush grassy meadows, steep rocky ravines and spectacular panoramic views also make it an ideal destination for nature enthusiasts and photographers. 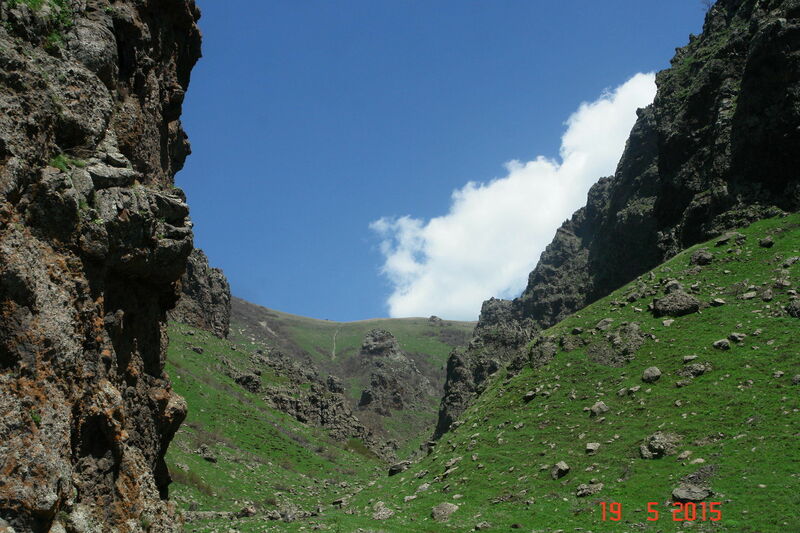 A number of routes exist up to the peak, following its crescent-like ridge, as well as easier hikes to the chapel at the heart of the crater, tall cliffs looming on either side. 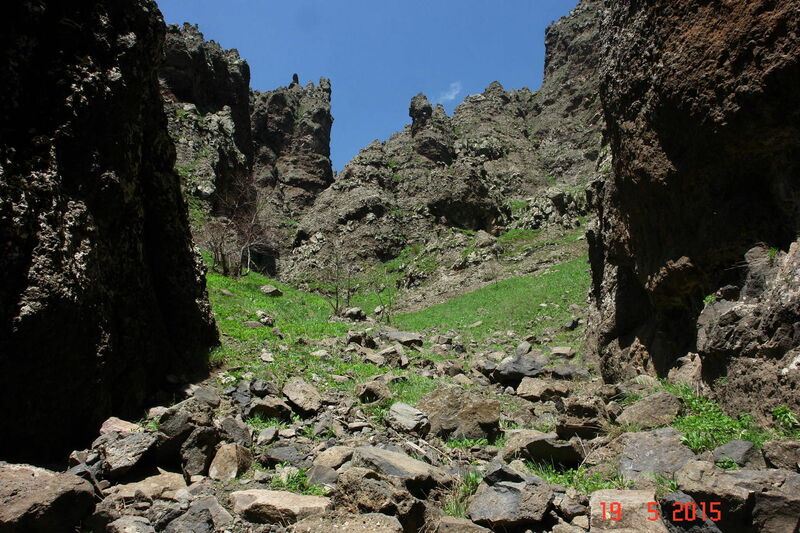 This route covers the majority of beautiful scenery this mountain has to offer, but feel free to wander around and discover some of the hidden beauties of its cliffs. 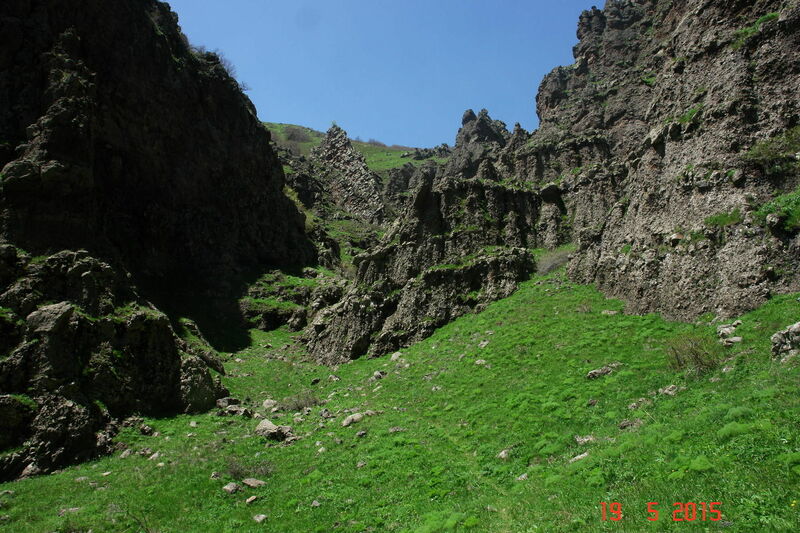 Cultural and Historic Monuments The Monastery of Tsaghkevank or Virgin Varvara iscarvedstraight into the rock at the centre of the crater. Residents of the surrounding areas celebrate both Christian and Pagan holidays here, and visitors will often come purely for the healing spring within it, whose water source has been found to contain a significant quantity of zinc – said to be beneficial to eyesight, and help cure joint diseases and muscle spasms. Flora With over 650 species of plants growing on its slopes, Mt. Ara boasts an extensive biodiversity. 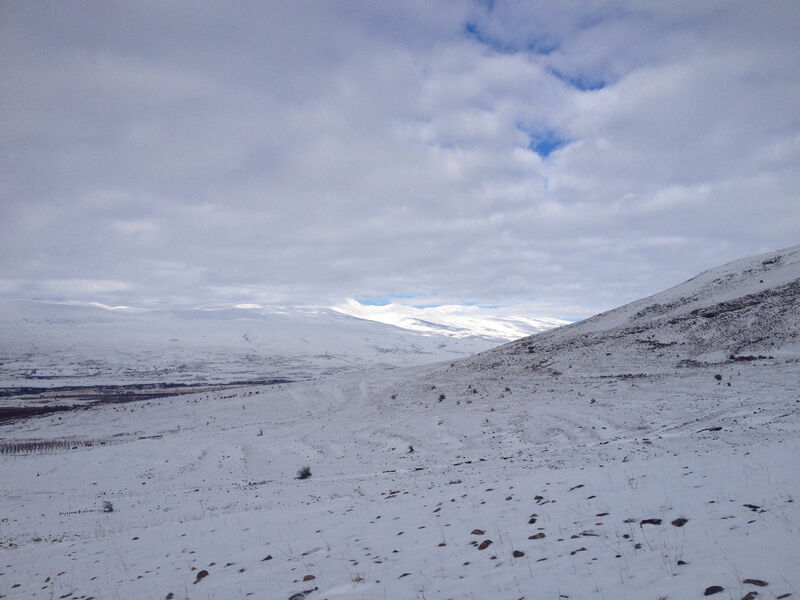 Once the snow melts in spring, a vivid array of flowers, grasses, bushes and trees spring to life, awakening the abundant colours and fragrances, tangible from miles away. 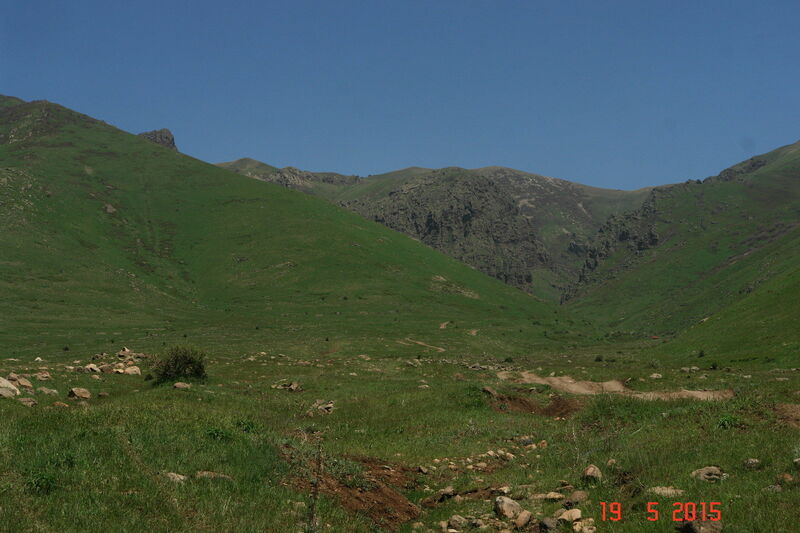 Found varyingly over its slopes in wetter months are blue and yellow bellflowers, snowdrops, violets and dark and light nuphars, whilst during the drier season, helichrysum species spring to life. Many of the plants found on Mt. Ara’s slopes, including the aforementioned helichrysum, camomile, and yellow dandelions are medicinal, and many more are edible and make for wonderful teas. 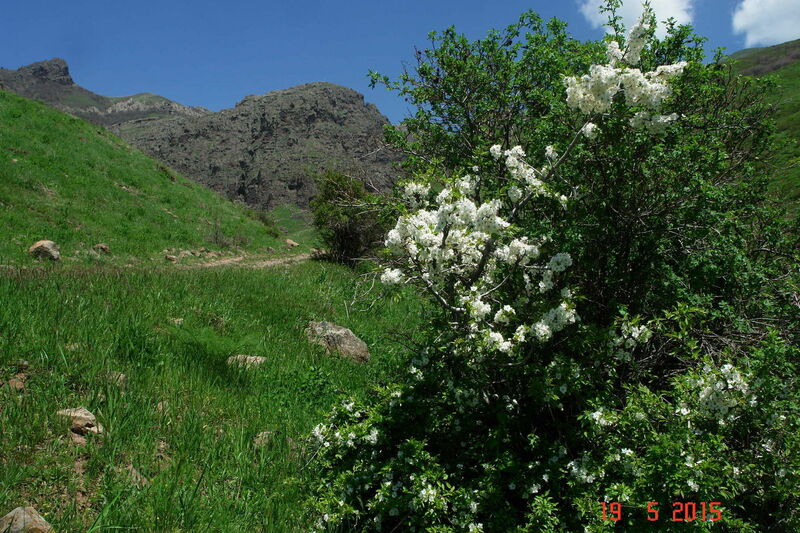 Shrubs include the dog-rose (rosacanina), or masur in Armenian, whose large, red fruits are picked between September and March, and eaten or made into delicious jams and teas. Caucasian pines, oaks, ash trees and many other trees make up forests that cover the northern and eastern slopes. Fauna The fauna is evasive but prevalent, and although it is rare, visitors should mind potential poisonous snakes (including the black Armenian mountain viper and the green adder), wolves and brown bears – although the latter two tend to stay clear of humans, preferring instead to chill campers with their howls at night. 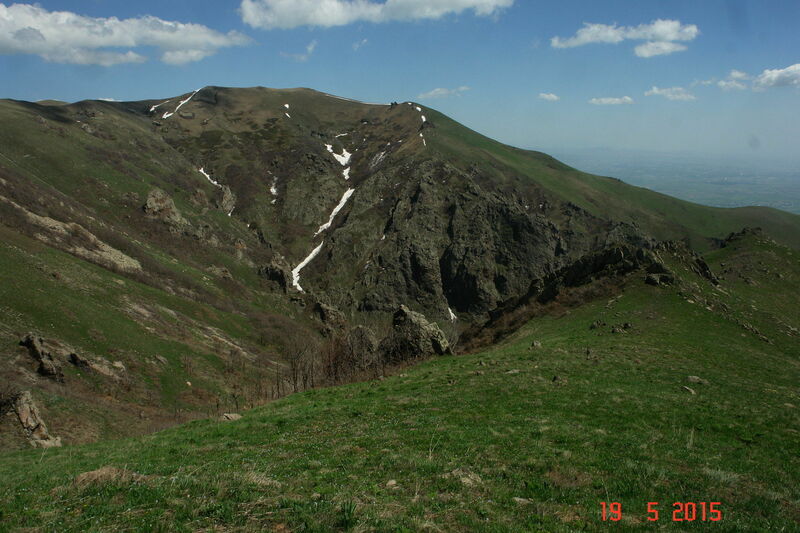 The forested slopes of Ara provide an ideal playground for the bears to raise their cubs, whilst the wolves make their dens in the ravines and shallow caves. Other, less ominous wildlife include lizards and rabbits hiding out in the rocky crevices, foxes, squirrels and field mice in the woods, and a variety of birds including grey crows, starlings and woodpeckers. 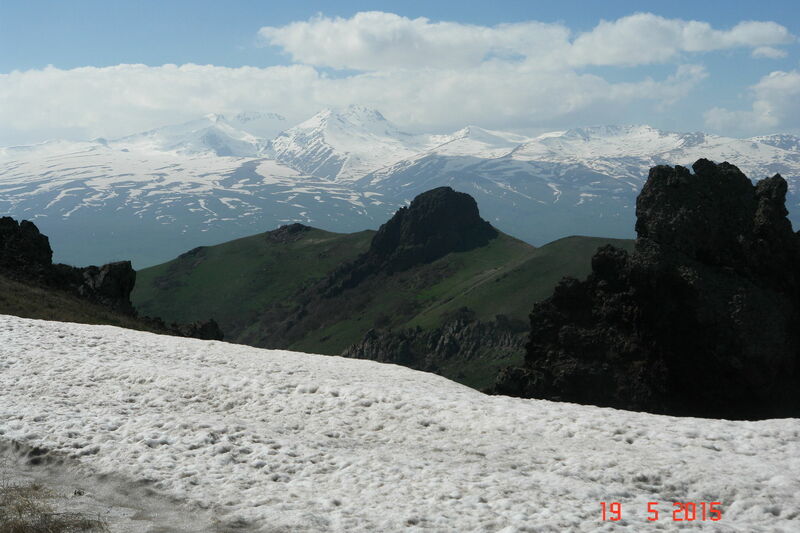 The Legend of Mount Ara Mount Ara was named after the mythical Armenian king, Ara the Beautiful, who in spite of externalpressures never betrayed his homeland. The legend goes that the Assyrian queen,Semiramis (Shamiram in Armenian) fell in love with him and wanted to unitetheir states, in order to create one powerful nationruled by the both of them, as the respective king and queen. Semiramis begged the Armenian king to consider it, trying to prove her love, though all she really wanted was to satisfy her lustful desires. However, the Assyrian queen did not take into account one importantfact: the Armenian king was already fulfilled, his wife(his beloved Nuard), his home, his child, his army and his homeland being all he wanted. King Ara rejected all of Semiramis’s dreams and desires, after which the queen attempted to capture the king's heartthrough battle, declaring war on Ara and the Armenian nation. During this war, one of herstrongest warriors injured and killed Ara, striking him with a poisonous spear. Semiramis, who could not come to terms with his death, commanded his body be placed on the mountaintop,so that thearalezs (dog-like mythological spirits) would come to lickhis wounds and revive him. 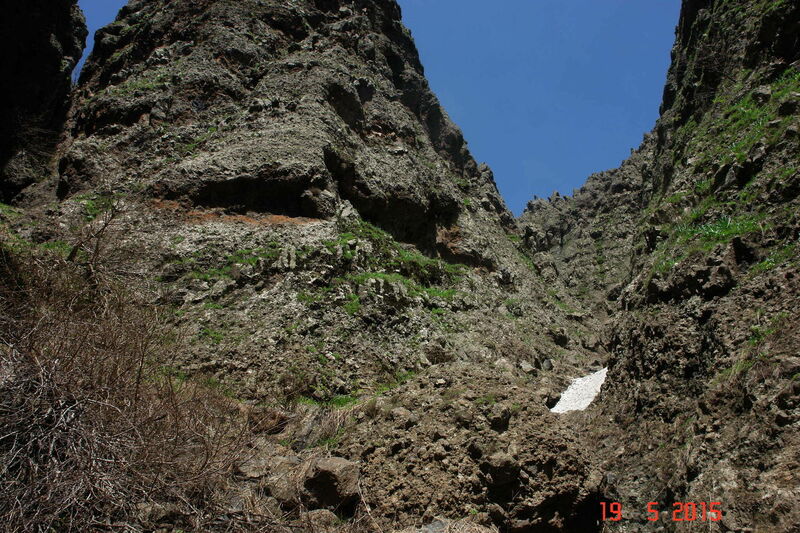 King Ara the Beautiful is still allegedly waitingthere – hence the name of the mountain, Ara or Arayi(Ara’s) – and, according to legend, in some hidden and yet undiscovered place lies his tomb and final resting place. 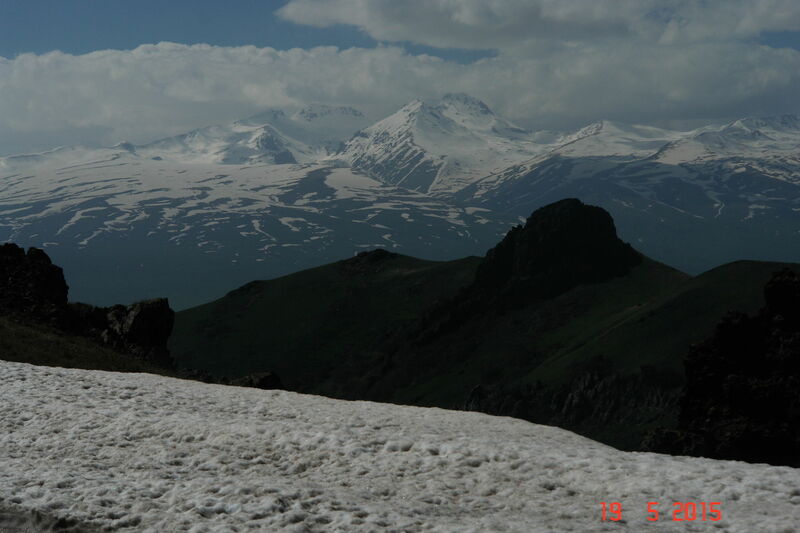 When looked at from Yerevan, the mountain reflects this in its ridgeline, which appears to be the king, lying down. How to Get There In order to reach Mt. 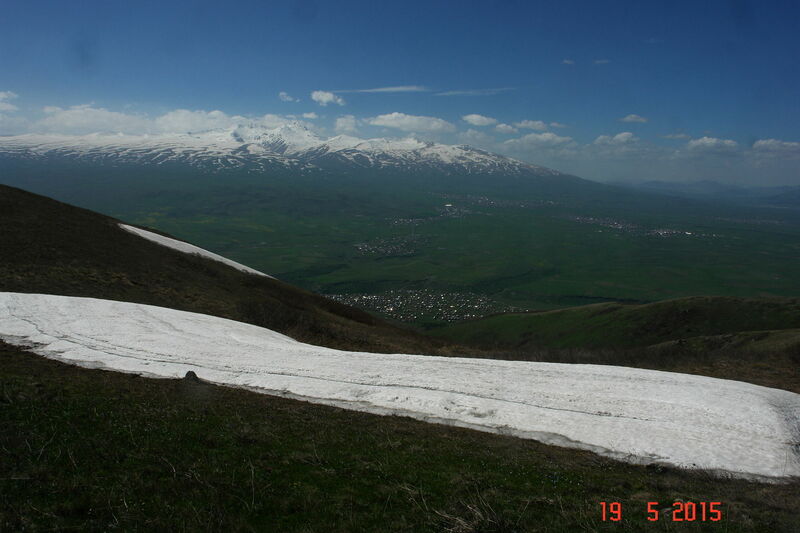 Ara, the most convenient option is to take a taxi from Yerevan. This will cost between 4,000-5,000 AMD. It is advisable to take a taxi with a working meter (be sure the driver uses it), or agree on a price beforehand. There are also buses to the neighbouring villages that leave from the Northern Bus Station (check with the drivers/passengers to find out where they are going and if they can drop you off along the way), and usually cost around 1,000 AMD one-way. Route Characteristics BestTime/Weather: April to October Route Distance(to the peak): 5.8 km Route Distance (roundtrip): 11 km Duration (roundtrip): 5 hours 30 minutes Altitude (from Sea Level): 1,732-2,606m Existing Trail Surface: 10% existing, 90% easily discernible Trail Difficulty: Moderate Distance from Yerevan: 40km (45 minutes) Cost to get there from Yerevan (by taxi): 4,000-5,000 AMD (1km = 100AMD) Safety Mobile telephone coverage is available throughout Mt. 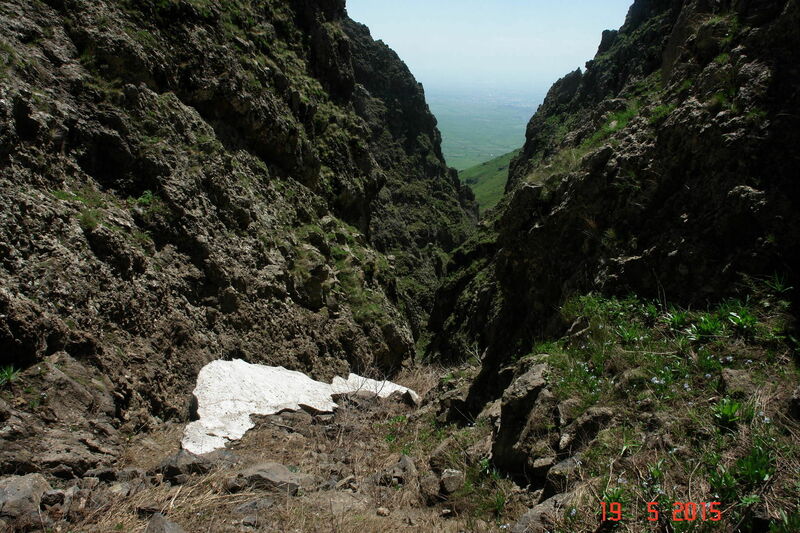 Ara, and the 911 emergency service operates throughout Armenia in case of any accidents. Be sure to bring bottled water! 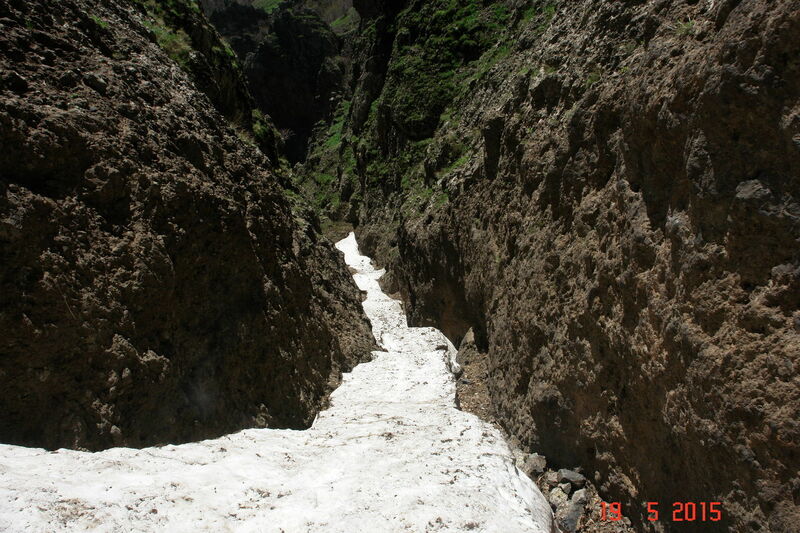 During April, May and June there are rivers created by snowmelt.